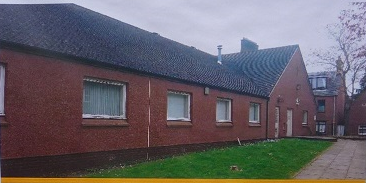 Strathmore Community Hub Group was formed in 2016 with a view to buying the former Trades Lane Medical Centre for the community. At time of writing (22 May 2017) it is lying empty, but could be a modern, multi-functional community and social business centre, to be run by the community for the community. It could provide facilities for everyone and contribute to the development of the town and beyond. ​ONLINE SURVEY (CLICK HERE), deadline 25th June 2017: DO YOU SUPPORT THIS PROJECT? -Consultation and research is being carried out by Community Enterprise on behalf of the Group to capture views and evidence of how local people want to see the building used for the benefit of the community. We would appreciate if you could complete this questionnaire - all information is gathered in the strictest confidence.